The Office of Cuba Broadcasting, or OCB, has signed more than 100 contracts worth nearly $1 million since the U.S. and Cuba on Dec. 17 announced they would begin renewing diplomatic ties. (List of contracts is below). Records show that $8233.34 went to the Phoenix Air Group, which is paid to store Aero Martí, a plane that doesn't fly anywhere. Aero Martí was meant to broadcast a TV station into Cuba, but the Cubans jammed the signal and the plane was grounded (See "Grounded TV Marti plane a monument to the limits of American austerity"). 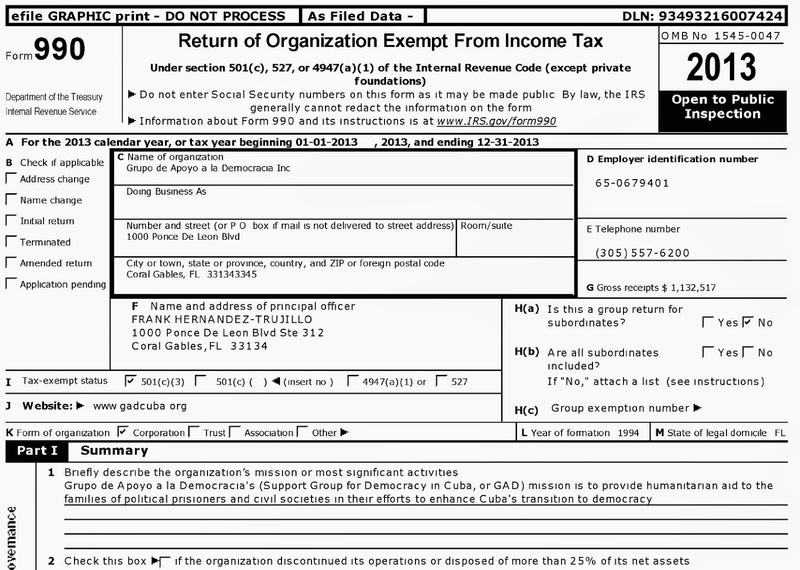 The OCB has paid the Phoenix Air Group $4,087,706 since June 1, 2010. The agency continues spending tax dollars on the storing Aero Martí at a time when the national debt is more than $18 trillion and the federal budget deficit exceeds $478 billion (See National Debt Clock). Money spent on the Aero Martí is a tiny fraction of the OCB budget, which was $26.3 million in fiscal year 2013. As I have repeatedly stated, Cuba and the United States must learn the art of civilized co-existence, based on respect for the differences which exist between both governments and cooperation on issues of common interest, which contribute to solving the challenges we are facing in the hemisphere and the world. 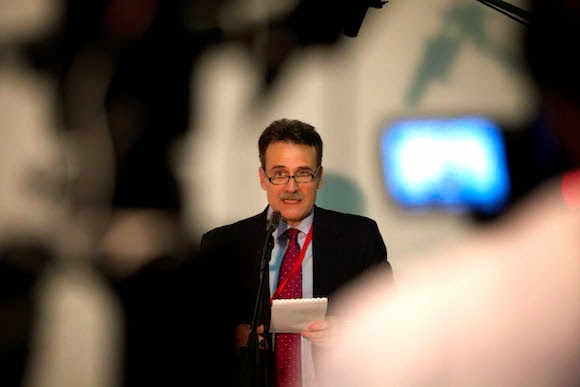 However, it must not be supposed that, in order to achieve this, Cuba would renounce its ideals of independence and social justice, or abandon a single one of our principles, nor cede a millimeter in the defense of our national sovereignty. 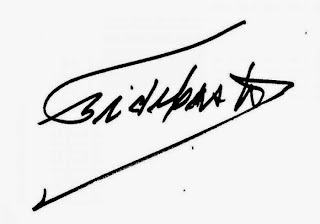 Fidel Castro: "I do not trust U.S. policy"
Below is a message from Fidel Castro to Cuba's Federation of University Students. Castro seems to distance himself from his younger brother Raul Castro's moves to renew diplomatic ties with the United States. I do not trust U.S. policy nor have I exchanged a word with them. 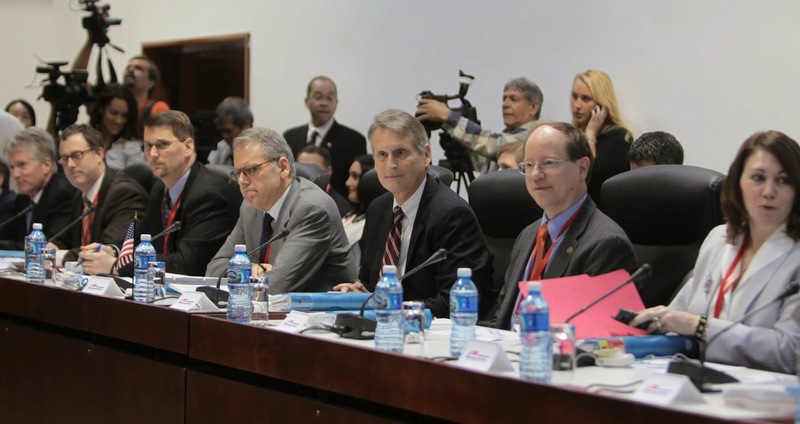 On January 22, 2015, talks between delegations of the United States and Cuba were held to define the steps to take in order to formalize the decision announced by Presidents Raul Castro and Barack Obama on December 17, 2014, to restore diplomatic relations between the two countries. 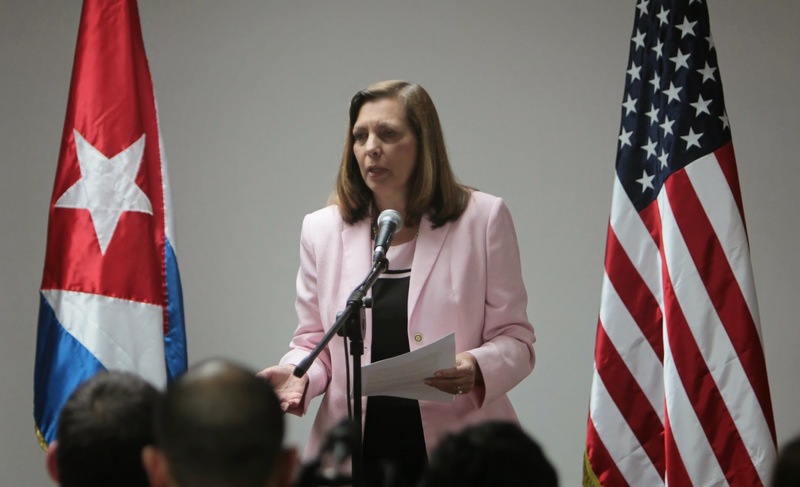 The US delegation was led by Assistant Secretary for Western Hemisphere Affairs at the State Department, Roberta S. Jacobson, and the Cuban delegation by the director general of Foreign Ministry's United States' Department, Josefina Vidal Ferreiro. In the meeting, which took place in a respectful and constructive climate, the Cuban delegation said that diplomatic relations must be based on the principles of international law and the United Nations Charter, including it sovereign equality, equal rights and self determination of peoples, and non-intervention in the internal affairs of states. They must also abide by the Conventions on Diplomatic and Consular Relations, which regulate the conduct of diplomatic and consular missions and their staff. 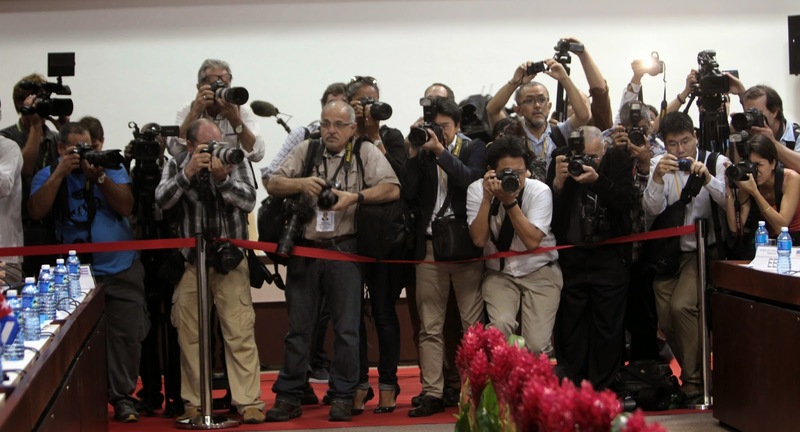 CubaDebate's Flickr photostream has high-resolution photos of the historic talks between the United States and Cuba. The talks continue today. 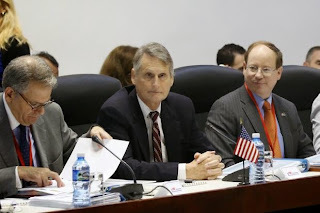 Today, January 21, 2015, U.S. and Cuban officials met in Havana to discuss technical issues related to the Migration Accords of 1994 and 1995 between the United States and Cuba. 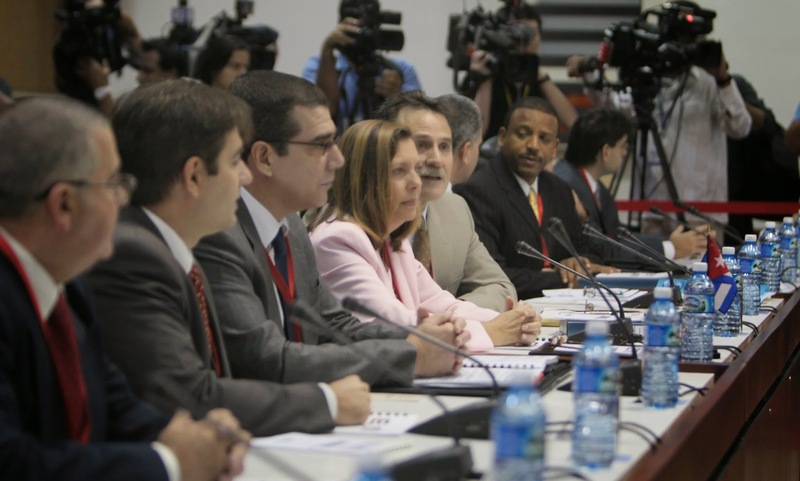 The Cuban delegation was chaired by the Foreign Ministry’s Director General for U.S. Affairs, Josefina Vidal Ferreiro. I led the delegation for the United States. The United States hosted the last round of these semi-annual talks in July 2014 in Washington. The United States and Cuba restated their commitment under the Migration Accords to ensure that migration between the two countries remains safe, legal and orderly. They also agreed to regularly review the implementation of these Accords. Continuing to ensure safe and legal migration between Cuba and the United States is consistent with our interest in promoting greater freedoms and increased respect for human rights in Cuba. A Miami organization sent 50,000 tons of food and over-the-counter medicines to Cuba, according to tax forms filed in 2014. Grupo de Apoyo a la Democracia, or GAD, relies on the federal government for most of its support. In 2013, it received $1,026,621 in government grants, plus $105,586 in non-cash contributions. GAD reported that the most its resources - $958,391 - went toward helping the families of political prisoners and others in Cuba (see Form 990). During 2013, GAD sent approximately 50,000 pounds of food and over-the-counter medication supplies to the families of political prisoners and civil societies in Cuba. GAD said its expenses totaled $172,214. That included office rent and modest salaries - the organization's director Frank Hernandez-Trujillo reported earning $36,600. 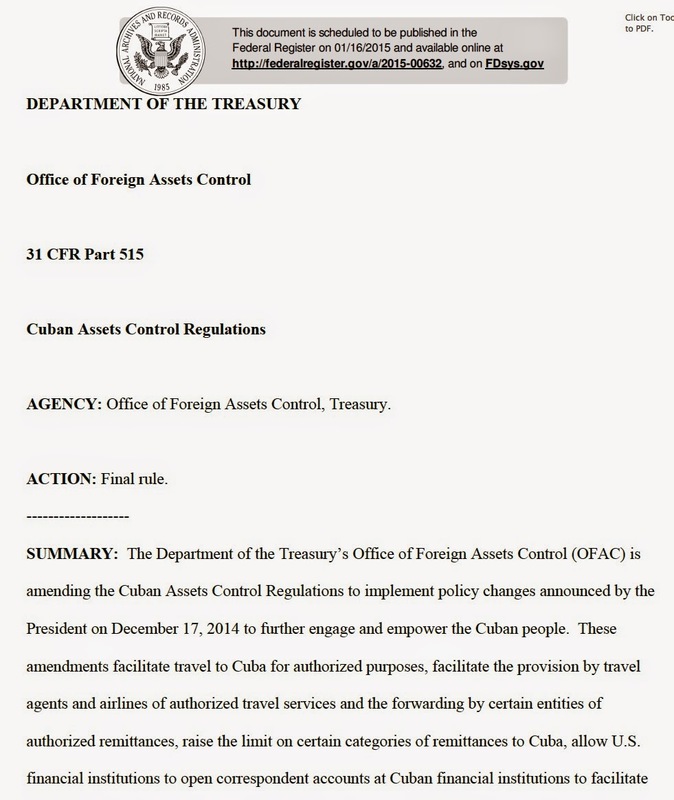 The Office of Foreign Assets Control, or OFAC, has released updated regulations on travel and other activities related to Cuba. Download PFD. I've been working on a project about the legacy of Fidel Castro. I've interviewed a range of Cubans, including some who joined Castro on the Granma yacht when it journeyed from Mexico to Cuba in 1956 carrying 82 fighters, 21 of whom were killed in battle after reaching the island. While in Cuba working on the Castro project, I did some reporting for an unrelated story published this week by the South Florida Sun Sentinel (See "Plundering America: The Cuban Criminal Pipeline"). On Tuesday night, Pedro Sevcec asked me to talk about the Sun Sentinel project on his show, "A Fondo," which is broadcast on Channel 41 in Miami. The show was behind schedule and time was short, so Sevcec asked me to keep my answers short. Then I think I kept my answers so short that I barely answered any of his questions. But anyway, Sevcec wanted to know more about my encounter in Cuba with a man named Angel Eduardo Mendoza, accused of stealing $180,000 in nickels from the Federal Reserve in 2004. Mendoza, 52, is wanted in the U.S. I caught up with him in Santa Fe, near Havana. He impressed me as being someone who was generally honest and hard-working, but one day came upon bags and bags of nickels and could not resist the temptation to steal them. He was a truck driver and his employer had been hired to haul the nickels. Mendoza said he had just had a dispute with his employer over money. 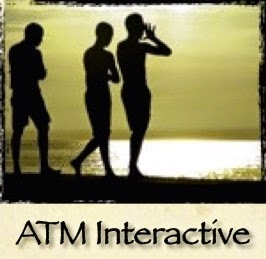 He was upset and decided to swipe the nickels, but had to return to Cuba to escape prosecution and left the money behind. 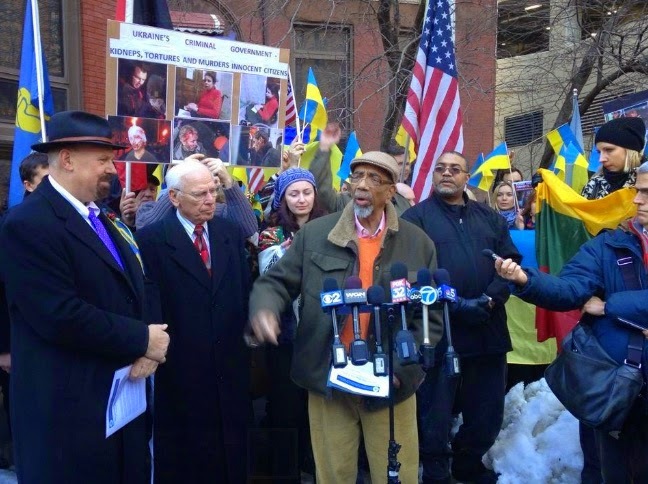 U.S. Rep. Bobby Rush, D-Ill., introduced a bill on Monday to lift the embargo on trade with Cuba. It has a 1 percent chance of getting through House committees and a 0 percent chance of being enacted, according to the website GovTrack. From 2011 to 2013, only 11 percent of bills made it past committee and 3 percent were enacted, GovTrack says. 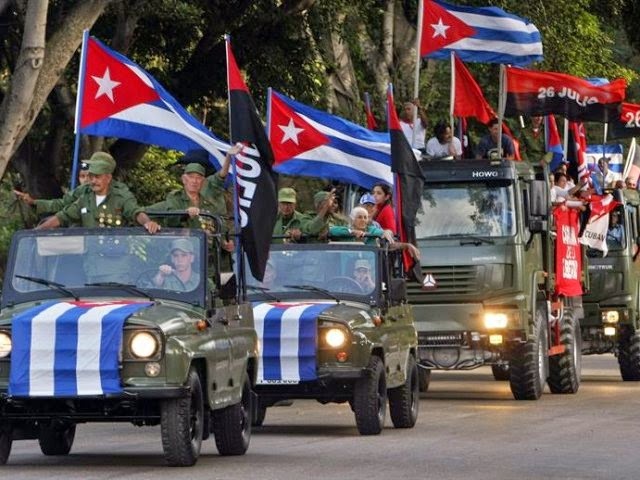 A caravan rolled into Havana on Thursday to commemorate Fidel Castro's arrival after the triumph of the revolution in 1959, EFE reported. See story. "Fidel is biding his time (to make a statement) because he is a great prophet who waits for the right moment to say something," said Lt. Col. Hugo Perez Silva, who came to Havana 56 years ago with the revolutionary leader as is known as the "Caravan of Freedom". The arrival of the delegation to the capital comes amid a new wave of rumors and speculations on social networks about the death of Fidel Castro, 88 and removed from power since 2006 by a disease. His last public appearance was a year ago today when he attended the opening of an art studio of the painter Alexis Leyva "Kcho" in a neighborhood of Havana, while his last articles in the Cuban press last were published October. U.S. and Cuban officials plan talks in Havana on Jan. 21-22. Assistant Secretary of State Roberta Jacobson will lead the U.S. delegation, according to State Department spokeswoman Jen Psaki. That and other information are in this transcript of Psaki's briefing with reporters today. QUESTION: Have you any update on the so-called mysterious 53? QUESTION: Well, they’re mysterious because no one will tell us who they are. QUESTION: How many have been freed? QUESTION: Have you listed the names of the 53? 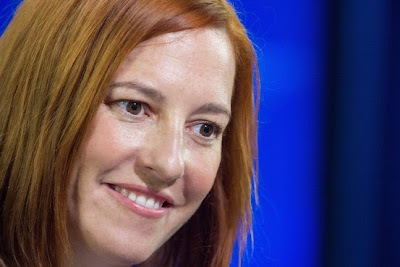 MS. PSAKI: We have not. QUESTION: I didn’t think so. 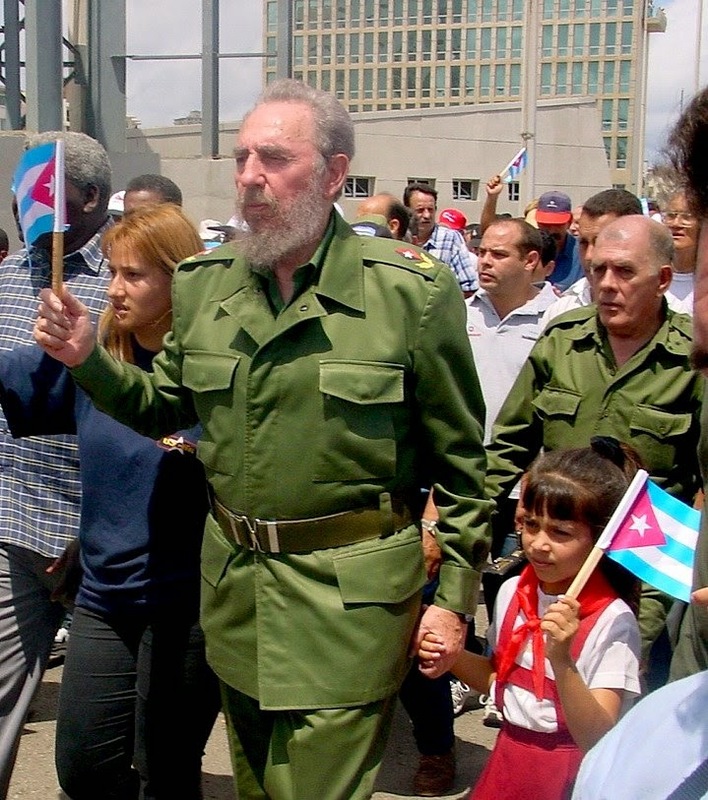 What legacy does Fidel Castro leave? Six years ago this month, I wondered if Fidel Castro's health might have slipped after he wrote an extraordinarily brief column in Granma, the Communist Party newspaper (See "Fidel Castro's 16 words"). Rumors about Castro's health have surfaced regularly, especially after he fell ill in 2006. And those rumors are flying once again. One of these days, the rumors will be true - we'll learn that Castro is gone. What legacy does he leave? Any thoughts? 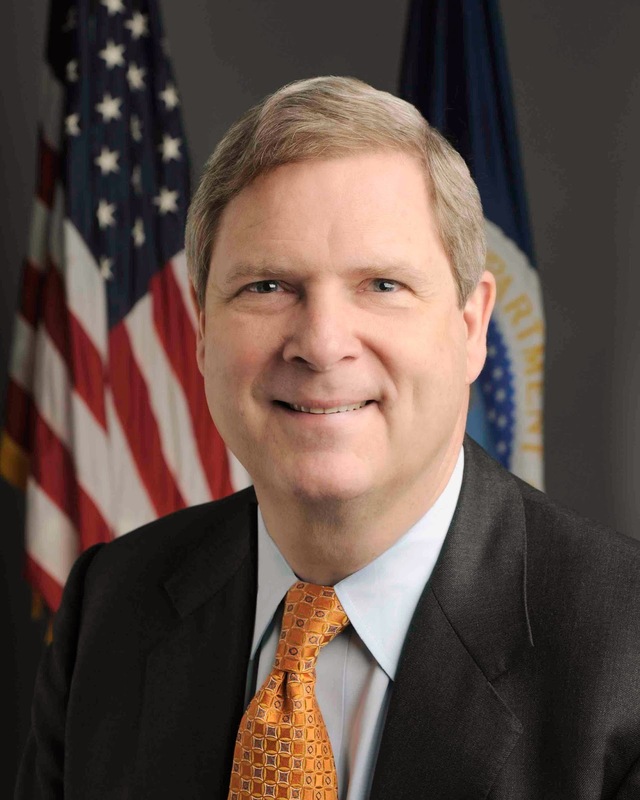 Washington, D.C. – More than 30 prominent U.S. food and agriculture companies and associations have formed a coalition that seeks the end of the U.S. embargo on Cuba and to advance trade relations between both nations. The U.S. Agriculture Coalition for Cuba (USACC), founded in early 2014, is united around the opportunity presented by a deeper U.S.-Cuba relationship and committed to ending the embargo and allowing open trade and investment to occur. 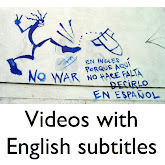 Human rights activists and others are hoping to collect 1,440 videos lasting a minute each to tell the world what they want for the Cuban nation. 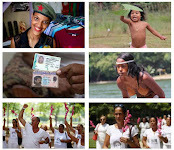 Already, they've recorded more than two dozens videos and uploaded them to a YouTube channel called #UnDiaParaCuba. They didn't choose 1,440 at random - that's the number of minutes in a day. Deysi Mata Nuñez: "We love the American people." While in Havana few weeks ago, I asked a woman what she thought of news that the U.S. and Cuba were renewing diplomatic ties. Nuñez, 66, thanked President Barack Obama for releasing three Cuban intelligence agents — Antonio Guerrero, 56, Gerardo Hernandez, 49, and Ramon Labañino, 51 — who had been jailed since 1998. "I've prayed for them every night," said Nuñez, who sat on a street corner selling homemade cloth dolls for about a dollar each. "I've asked God for their freedom. I have to shout it out to the world because justice was done at last. A sign behind the Instituto Cubano de Amistad con los Pueblos, or ICAP.